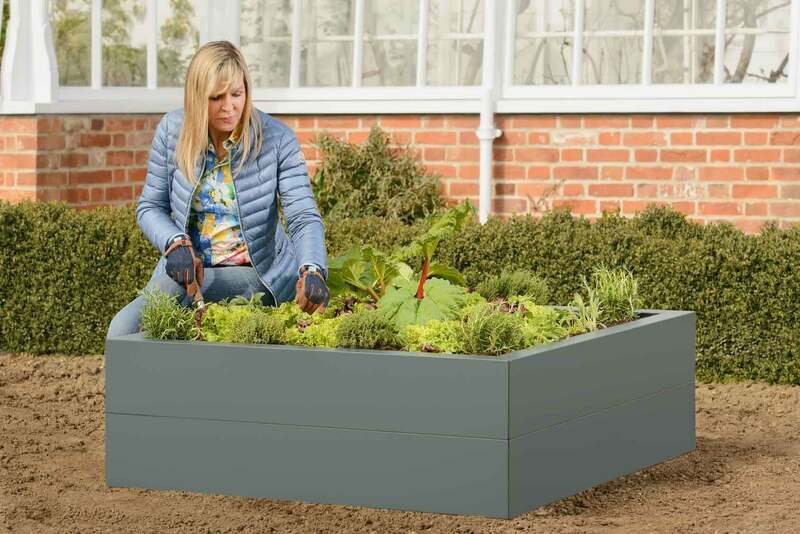 Harrod Superior Metal Raised Beds and Planters successfully combine technical innovation and a contemporary look to create a stunning range of raised beds which really are built to last. 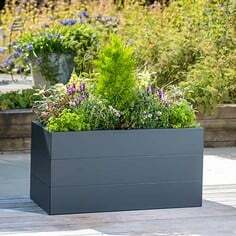 Designed and manufactured by us in the UK, these stylish planters offer a superb alternative to traditional wooden raised beds and come with a 10 year structural guarantee. 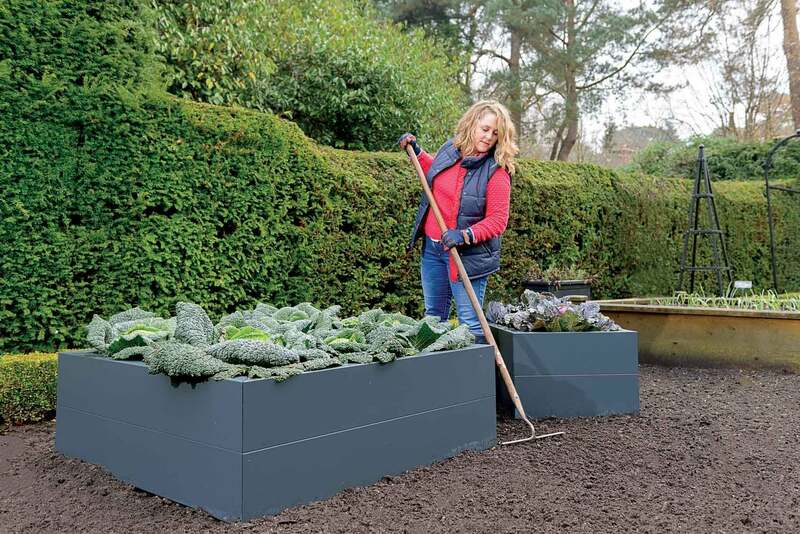 Harrod Superior Metal Raised Beds and Planters successfully combine technical innovation and a contemporary look to create a stunning range of raised beds which really are built to last. The raised beds are UK engineered using 1mm thick galvanised steel with a super strength 'double folded' plank construction to resist bowing and come with a 10 year structural guarantee. 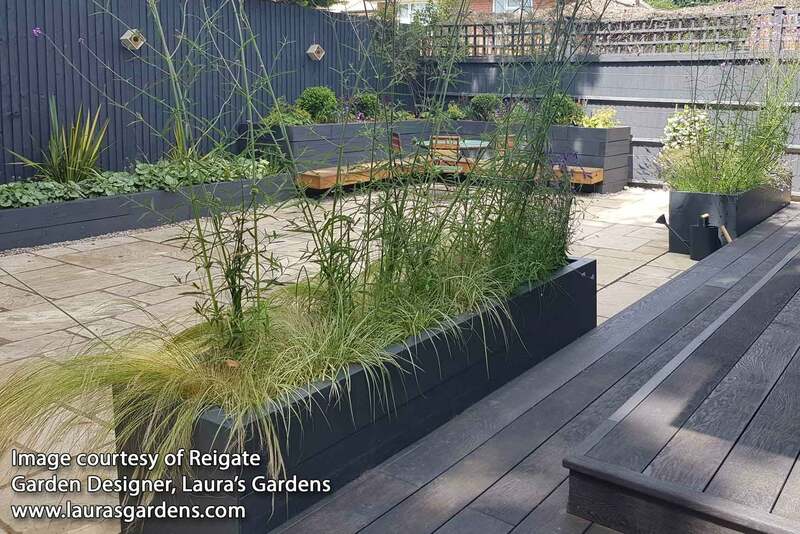 The steel is powder coated Anthracite Grey for a stylish weatherproof finish. 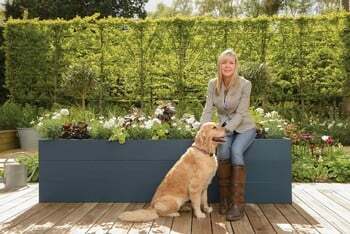 The ideal way to grow your own in style, these metal planters are available in a range of sizes from 0.6m to 2.4m and 3 heights so there is bound to be the perfect option for your garden, patio or deck. 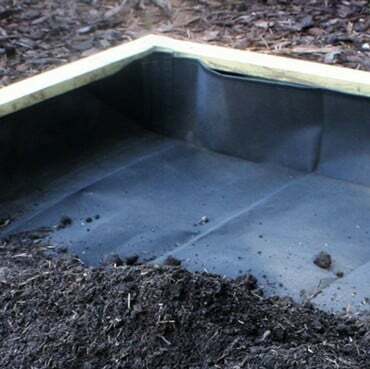 Raised Bed Liners available separately - Please Note Liners are not available for all sizes and heights - see list of available sizes. 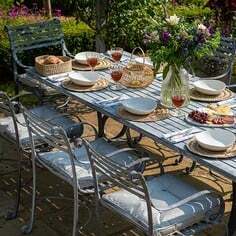 They supplied a product that is easy to assemble, is light to handle but is clearly durable with a long guarantee. It was easier and cheaper to use this product than to have professional landscapers install a wooden alternative that would not last as long. Very quick on delivery as well. The metal beds we bought from you are excellent, although a little bit difficult to put together!! Otherwise, I would have graded it 5 stars. Your service and website were excellent. Many thanks. 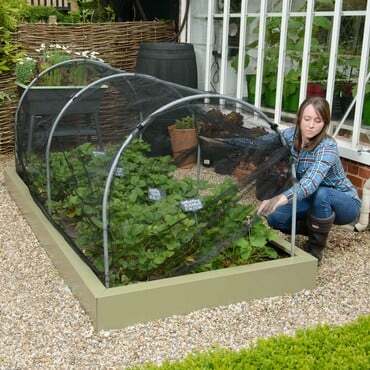 I am delighted with my metal raised bed which arrived quickly and on time. 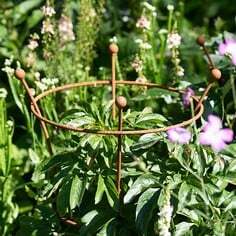 Although I did not assemble this, I was told it was a bit fiddly to put together but I can confirm that this is a sturdy and striking addition to my small garden. I also purchased a liner for this, which is of very high quality. 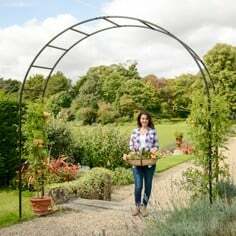 This is my second purchase from Harrod Horticultural, the first being a metal garden arch. Another quality product which highlights two separate areas of my garden. Even my neighbours are impressed with it! 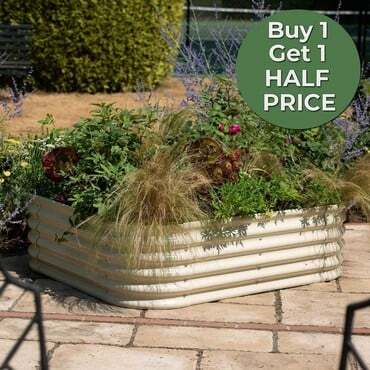 Harrod Horticultural Metal Raised Bed Planters combine innovative design with stunning aesthetics, perfect for growing on the patio or in the garden. 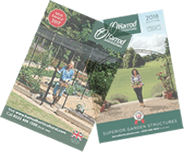 UK designed and manufactured with a 10 year structural guarantee, they offer a stylish alternative to wooden raised beds. 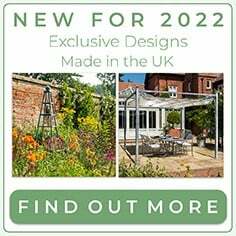 Available in Heritage Green or Anthracite Grey in 10 sizes and three heights. 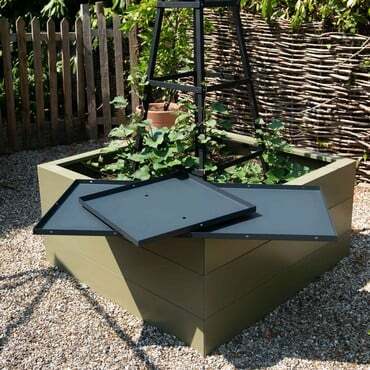 Beds Made to Last -These Metal Raised Beds and Planters use 1mm thick galvanised steel with a 'double folded' plank construction for a long lasting, weatherproof finish and are available in a range of sizes and heights. To assemble the planks, bolt together using the stainless steel fixings and any additional tiers are also bolted securely into place. 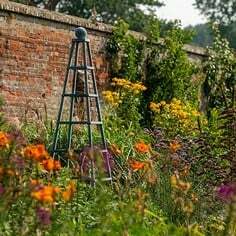 The Metal Raised Beds are available are available in a range of sizes and heights. 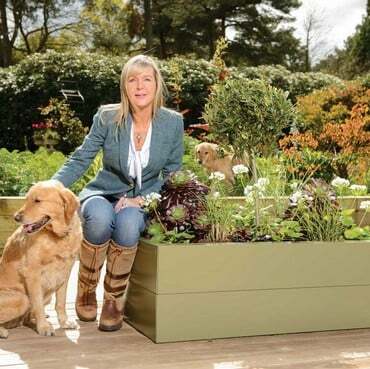 The raised bed planks are available in 0.6m, 1.2m, 1.8m & 2.4m sizes to create either sqaure or rectangular beds. 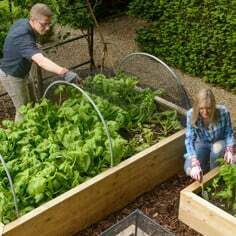 The raised beds can be stacked up to 3 high to create a much deeper grow bed - each raised bed measures 20cm high.